! This is NOT a method of direct communication with FOREST HILLS LILIES OF THE VALLEY for purposes of ordering or rectifying problems. Great service, great costumer service great timing and the best, great roses! I'm definitely ordering again. Excellent in every way. Careful to have delivery of flowers when I was at home, Flowers fresh and very beautiful,and arranged in a handy glass vase. Flowers trimmed of seeds that can fall and leave permanent stains. Very professional and I will be a customer from now on. This shop is the best in town,they did great work on my wedding flowers the bridal bouquets the arrangement at the event place were outstanding.thank you. This is the only place I use for deliveries to Maple Grove Cemetery. Reliable. Efficient. Trustworthy. My contact has been "Ben" but everyone who answers the phone is courteous and solicitous. Ben takes a photo of the flowers delivered to the gravesite and sends it to me as confirmation of delivery, a very appreciated service. Thank you Sumitra for another beautiful floral arrangement. The flowers certainly made my Royal Tea Party looked more beautiful and the ladies love. You are simply the best. Great service. Made sure I was home for the delivery and I appreciate that. Thanks! We had a wonderful experience using this flower shop to celebrate the birth of my grandson. The arrangements were spectacular, well beyond what we were expecting. The owner is also a pleasure to work with, and was extremely helpful in preparing the arrangements. I highly recommend this shop! Maple Grove Cemetery recommended Lilies of the Valley florist Ben was very accommodating in taking my order, even emailing a picture of the wreath on my family's gravesite. I stopped in to meet him when I visited the cemetery after Christmas. I met both Ben and his wife, who presented me with a lovely bouquet of flowers, which traveled from Forest Hills to Manhattan to Schenectady where most of the bouquet is still beautiful enough to display in a vase. That was NINE days ago. I intend to order through him even though I live in Upstate NY and his business is Downstate. Thank you, it was nice to meet with you at the shop. The roses were beautiful and arranged perfectly in the vase. They are days old now and still fresh and lovely. Great job! Very beautiful and fresh flowers always.. Loving my beautiful Christmas wreath.. Even though Christmas has been over don't want to remove from door.. Thank you Sumitra for taking such great pride and care in your work..
Easy to process and good service. Flower arrangement not as nice as pictured but arrangement fairly generous. This is what the recipient said: "The flowers were beautiful. a lovely mix of colors and very full blooms and also lasted for the 3 days of the wake and funeral. Didn't realize your wife had been in the Floral business. How wonderful to be surrounded by beauty year round no matter the weather or temperature." Beautiful flower arrangement. They made every effort to accomodate my wishes for a special funeral floral arrangement. Very comforting and they took care get it right. I highly recommend this florist. Great service... Very helpful when calling. 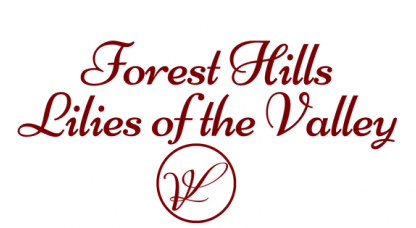 Forest Hills Flowers & Blossoms was GREAT to work with. After my uncle died, I searched online for flower shops local to the funeral home (I live hours away). I liked how close FHF&B was, how easy it was to place an online order and how friendly, knowledgeable and easy-going the owner/manager was .He'd called me, per my request, to discuss some details. If I lived locally, I'd start an ongoing flower order for my home. My cousins appreciated the arrangement, it arrived on time and it was lovely. THANK YOU, FOREST HILLS FLOWERS & BLOSSOMS!!! Everything was done very well - satisfied customer! Funeral arrangement was delivered on time and was exactly as shown online. Than you. We were extremely pleased with the artful floral display that was created for a full casket. It was lavish, yet tasteful. They arrived on time, and were beautifully presented. Andrzej is truly an artist. We would highly recommend this florist for all occasions. Andrzej, We were extremely happy with the church flowers and the flowers at Portofino on Saturday for the services for my mother-in-law. They were very lovely and very fresh. We gave away the roses but the altar flowers are on our table and beautify our dining room. Arrangement was delivered on time, and it was beautiful when I saw it at the funeral parlor that day. I'm very satisfied with the service. My online ordering experience was simple/easy, but I would have appreciated delivery confirmation. I was sending a sympathy arrangement to a family and am not sure if/when they received it. But I am assuming it arrived on time and looked great! Andrzej provided the flowers for my mother's funeral. The flowers were spectacular as was the artistic arrangement. I highly recommend Andrzej for the best flower service available. I know you had trouble with the delivery and that was the recipients fault. The flowers were beautiful, they said. But the recipient was feeling very poorly and she had to arrange them in water, because they were really a LOT of cut flowers. I ordered a custom arrangement. I thought a custom arrangement came already arranged and in a vase. Next time I will be more specific. Beautiful Work! Forest Hills Flowers & Blossoms made all the family floral arrangements for my Grandmother’s funeral . We were very pleased. I highly recommend them for all floral needs. Thank you guys! I wanted to give my co-worker a nice birthday gift , so I had Andre create a beautiful bouquet. It was the center piece of the office party and the fresh flowers lasted for a week ! I could not be happier with this florist and I plan to use him again for his beautiful holiday arrangements. My doctor came into her office on her day off because I had a minor emergency , so I sent her a flower arrangement to show my appreciation. She was so happy with it that she asked for a business card so that she too can send these beautiful artistic arrangements! I had the opportunity to see the arrangement I chose, it was beautiful! Andre was so attentive and helpful during a stressful time of family loss. The floral arrangements exceeded my expectations in the variety of flowers and the artful arrangement, he is truly an artist! Not to mention the prices were reasonable. A class act all the way. He did a WONDERFUL arrangement for my grandmothers wake. My grandmother only liked certain flowers. We made him aware of that and he went far and beyond to make every arrangement perfect. The flower arrangement was beautiful and the staff was very professional and friendly. Extremely pleased overall! Would highly recommend Forest Hills Flowers to anyone! Did not attend the service - but the order was received and confirmed and done quickly and efficiently. Thank you, you made a emotional difficult task quite easy! Extremely satisfied with the service. The flower arrangement was even more beautiful than the picture. Andre is a professional florist/artist who provides the best quality flowers in gorgeous bouquets and arrangements. I would never buy flowers from a grocery store when I can buy top quality flowers from Forest Hills Flowers and Blossoms. Beautiful arrangements and a very professional service. I am very satisfied and happy I used Flowers and Blossoms from Forest Hills. The order placed on the web was simple and filled speedily. As the purpose was for a funeral wake on the same day it made a big impact. Thank you. The best service and quality I've ever received not only from a florist but basically any where. Listened to everything I wanted in the arrangement and made it happen. Fast and more then I expected. Recommended to friends and they were not dissapointed. Highly recommended. Very knowledgeable and has the most beautiful flowers I've seen. Made many arrangements for me and has always exceededy expectations. Highly recommended for anyone looking for top quality and fresh beautiful flowers for any and all occasions.